Catch The Fire is a family of churches and ministries worldwide that was birthed as a result of the incredible revival that began in Toronto, Canada in 1994. Today Catch The Fire encompasses a growing network of churches, a college with International Schools of Ministry, a mission programme and events running all over the world. Here in Auckland, as a family of people we are active in our pursuit of God’s manifest presence and demonstration of God’s Kingdom in the nation. We want to see New Zealand, as a nation, come to know the love of our Heavenly Father and be filled and empowered with the Holy Spirit. You will hear us talk about the importance of Encounter. We want people to experience the reality of God in their everyday lives. This is because we believe our encounters with the living God bring about a Transformation (2 Corinthians 3:18) in our hearts. Knowing our true identity and purpose we Overflow with His goodness that influences and changes the world around us. We are welcoming and in pursuit of God’s manifest presence amongst us so we can experience His goodness in our lives. We value the anointing of the Holy Spirit on us, in us and around us so we can bring others into a God encounter. We value the importance of a real and vital relationship with the three persons of the Godhead. We are Christ centred, living in the revelation of the Father’s love and being filled with the Holy Spirit. Healing and transformation of the body, soul and spirit is vital to our journey. We allow the love of God to transform our lives into the likeness of Christ. We believe in empowerment by activating the gifts, calling and anointing on the individual so they can be released to walk in the fullness of their purpose. We walk in God’s love and release love to the community around us in supernatural and practical ways. Led by John and Carol Arnott, the Church (formerly Toronto Airport Christian Fellowship) came to the World’s attention in 1994 as a place where God was meeting His people and incredible things were happening. The Toronto Blessing is a transferable anointing. In its most visible form it overcomes worshippers with outbreaks of laughter, weeping, groaning, shaking, falling, “drunkenness,” and even behaviours that have been described as a “cross between a jungle and a farmyard.” Of greater significance, however, are the changed lives. The “renewal” came to what was then the Toronto Airport Vineyard through visiting pastor Randy Clark of St. Louis, Missouri. What was originally planned as a series of four meetings exploded into a marathon of services which are still being held every week. The original 425-seat facility became overextended by the summer of 1994. Waiting lines formed at five o’clock outside the doors, which opened at seven. In November, a former conference centre on Attwell Drive, east of the airport, became available for rent. Senior pastor John Arnott signed a lease to rent with an option to buy, and the building was purchased on January 20, 1995, exactly one year after the first day of the renewal/revival. The new location, seating over 3,000, is equally accessible to the airport and closer to major hotels, some of which run a shuttle service to renewal meetings. The “Toronto Blessing” has spread, not only to England, but to Switzerland, Germany, Hungary, Norway, Finland, Holland, Japan, South Africa, Zimbabwe, Korea, India, Taiwan, Thailand, Guyana (South America), Cambodia, Australia, New Zealand, Indonesia, Malaysia, Singapore, Czechoslovakia, Russia, mainland China, Denmark, Iceland, Sweden, Romania, New Guinea, Kenya, Israel, and many other places. 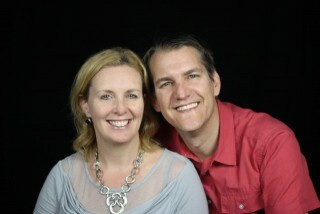 John and Carol Arnott are based in Toronto, Canada and oversee the Partners in Harvest network of churches. As international speakers, they have become known for theere they have seen millions of lives touched and changed through encountering the Father’s embrace, and His incredible love for them. Duncan and Kate Smith are revivalists who carry the Fire of God’s love and power all over the world. They are the Presidents of Catch The Fire and lead the worldwide family. The Smiths spent over 8 years as Executive Directors of Catch The Fire in Toronto before they planted Catch The Fire Raleigh, North Carolina, a vibrant, growing church, full of the love and presence of God. They also founded the Catch The Fire School Of Revival in Raleigh, which is a radical, supernatural leadership and church planting school.